This column first appeared in Quartz, on August 10, 2014. Like all products of the Brookings Institution India Center, this is intended to contribute to discussion and stimulate debate on important issues. The views are solely those of the author. Indians are proud of their frugality. Saving money is normally a virtue, but in some cases, are we really saving money? Or, are we just hiding costs and pushing them onto others, either outside our immediate boundary or in the future? India is famous for jugaad (~makeshift), but much of what passes for jugaad now has devolved from innovation to cost-cutting, without appreciating the lifecycle impacts. Innovation in design, such as the brilliant use of tender coconuts to replace unavailable glucose IVs (“drips”) during a calamity in Bangladesh, has given way to jugaad in implementation, and, worse, chalta hai (anything goes). Jugaad has value, but if something doesn’t fit why aren’t the parts designed or manufactured properly so jugaad isn’t required? Instead of jugaad, things are often done “on the cheap”. This is common with decision-making that ignores life-cycle costs, or where the choices aren’t readily comparable, especially with non-monetary dimensions such as health, convenience, etc. New buildings routinely get constructed without a proper pavement, or non-existent sewage lines, with wastewater flowing out. Before one counters that maybe sewage lines aren’t yet built in new layouts, then the onus lies with building owners to install alternatives such as septic tanks (still widely used in the West, ~20% of homes in some regions). All environmental compliance has a cost—estimates indicate that it adds about a third more to the cost of US coal power generation—but the alternative (dirtier air or water) is even more expensive for society. Lack of holistic thinking affects dimensions beyond money. A well-publicized case in Rajasthan had a cellular tower erected on a family’s neighbour’s property, and several people in the household developed cancer, that too a specific type of cancer. While debates have raged worldwide whether cellphone tower radiation can cause cancer, in this particular case tests revealed that the radiation power levels were about hundred times higher than the prescribed norms! One may argue that this was simply a case of not following the rules, but it was actually a collision of business with physics, at the expense of citizens. India has amongst the cheapest cell services in the world, but the services are over-stretched. While physically a tower’s signal may reach many kilometers, in urban areas that would be too many users sharing a finite capacity. The only ways to improve the service are to use more bandwidth (India’s allocations for 3G are amongst the lowest in the world, sadly) or make cells smaller, with more cells nearby (on different frequencies or bands to prevent interference). But that is expensive, so there is a propensity to go for the final “option”, which is increase the signal strength and/or place towers in dense residential areas, to the detriment of neighbours if done wrongly. More than costs or impacts on others, lifecycle thinking spans functionality. Ever notice helipads on tall buildings? This isn’t builders appealing to the jet set—India’s National Building Code (2005) mandates a helipad for buildings over 60m, for fire safety and emergencies. Leave aside whether one has helicopters nearby and helipads at hospitals on the other end. The law (or builders) doesn’t worry much usability. Builders spend some Rs1 crore for the helipad, but I have yet to find one who has put in the (non-mandatory) specialized landing lights, which can purportedly cost Rs40 lakh. Without those, night (and smoky) landings are tough, if not out. Such lack of lifecycle thinking is what leads to an underinvestment in the ecosystem of what delivers functionality and productivity, resulting in money spent without commensurate benefits. Recall that with computers, hardware isn’t sufficient (often just 25% of costs), we need to invest in software, training, connectivity, etc., not to mention changes in business processes. What can we do to improve things? Consider finding a good painter. Beyond looks and finish, we’d like someone punctual who also takes care to not paint over doors, switches, or fixtures. How much more are we willing to pay for such a painter? See the wages notified for a construction project. 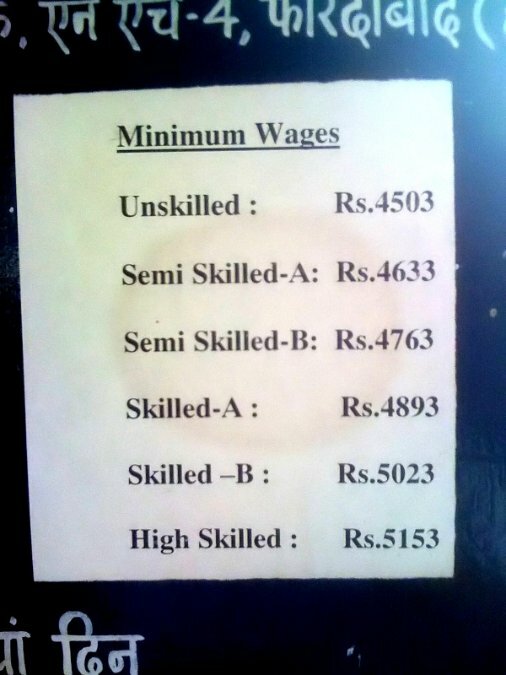 While private sector wages may be higher, the point is not the absolute values but the staggeringly low rates of wage increment across six levels of skills. This begs the question, what skills? Often, construction workers become designated as skilled merely by virtue of having worked for a few months. Good output doesn’t just come from proper tools or standardization (though those are also lacking in India)—skills matter. In the West, training takes years and even certification. A junior handyman in America costs some $25/hour (~3 times the minimum wage), but a certified Master Plumber typically starts at $125/hour. However, they’re very efficient and relatively cost-effective (often working with cheaper assistants/apprentices). Doing it right (spanning people and materials) is why plumbing in the West has a lifespan measured not in years but many decades. Fortunately, standards and regulations are improving, and decision-makers are increasingly considering operational costs as well, buying not just hardware but a solution or a service. But the ultimate hurdle to improving lifecycle price-performance still remains: mindset. It’s high time we started paying more—and getting a lot more in return.